Do you want to remove the parent page slug from child page url in WordPress? By default, WordPress adds parent page’s slug as a prefix to child page URLs which is good for SEO. However, some people may not want parent page slug in the URL. 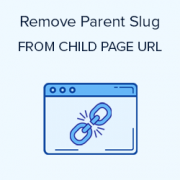 In this article, we will show you how to remove parent page slug from child page URL in WordPress. What is a Parent Page Slug in WordPress? 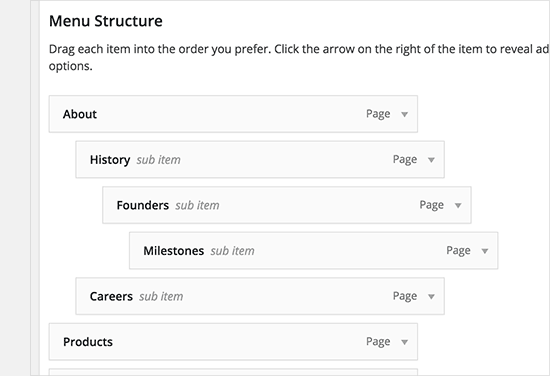 This is a better way to organize content if you are using hierarchical page structure on your website. It is considered best practice for WordPress SEO, and it makes sense for your users as well. Removing the parent page slug can potentially break the URL, but in some expert opinion, it also makes it less SEO friendly. Sometimes it may cause conflicts with the WordPress permalink structure. In our experience, if you don’t want parent page slug in your child page URL, then the best approach is to not create a child page at all. Instead, you can simply create a page and use navigation menus to show that it belongs under this page. However, we understand that some users may still want to use child-pages for their own reasons. That being said, let’s take a look at how to easily remove parent page slug from child page URL in WordPress. First thing you need to do is install and activate the Custom Permalinks plugin. For more details, see our step by step guide on how to install a WordPress plugin. Upon activation, you need to edit the child page you want to change. Under the page title, you will see the option to change the child page URL. The placeholder area will show your page’s current default URL. You need to click on it and enter the custom URL you want to use for your child page. Don’t forget to save your page to store your URL changes. After saving your changes, you can click on the view page button to view your child page URL without parent page slug. 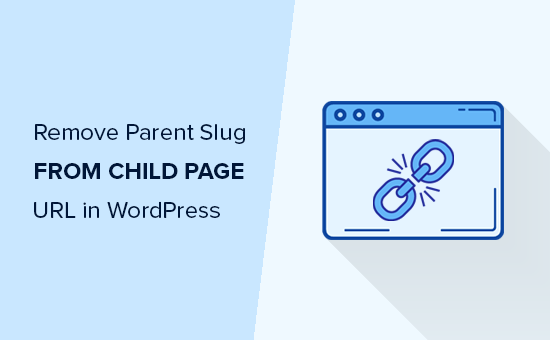 We hope this article helped you learn how to remove parent page slug from child page URL in WordPress. You may also want to see our list of the best drag and drop page builder plugins for WordPress. What about 301 redirects? I recommend setting up these redirects if you update URLs (Google might have indexed the old version of the URL or users may have saved those links). This plugin has a conflict with a cornerstone page. Does not work with cornerstone pages. Is there any other way to change the url without installing the plugin? Awesome! I was looking for this technique for ages. I would really love if you could share any approach other than using a plugin. Get 20% OFF on AdSanity WordPress ad management plugin.